Facebook continued incremental gains in Q2 2014, maintain its position as the dominant identity provider. The world's largest social network introduced several updates to Facebook Login that, though only in the early stages of roll-out, are boosting its perception. Google+ login also remained relatively steady over the previous quarter while Yahoo! continued dropping to nearly single digits, reveals Q2 - 2014 study by Gigya. The study also found that Facebook's position as a leading mobile identity provider was further cemented in Q2 as it continued to gain over the previous quarter. As mobile logins have become more prevalent, Facebook and Google have emerged as the primary mobile identity providers. Specifically, Google continues making a strong push with its feature-rich GooglePlus Sign-in product, which encourages OTA mobile app downloads and is becoming a seamless authentication method on Android devices. 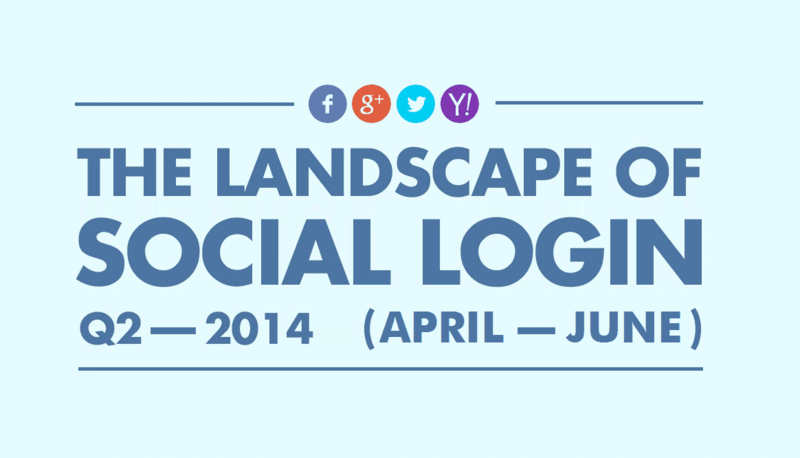 This infographic takes a closer look at the landscape of social login in Q2 2014.